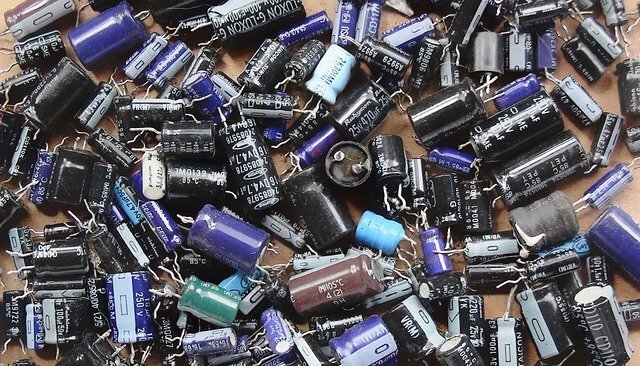 Capacitors Behave in AC Circuits: When capacitors are connected across a direct current DC supply voltage they become charged to the value of the applied voltage, acting like temporary storage devices and maintain or hold this charge indefinitely as long as the supply voltage is present. Role of Capacitor in AC Circuits: In an AC circuit, capacitor reverses its charges as the current alternates and produces a lagging voltage (in other words, capacitor provides leading current in AC circuits, Role and Performance of Capacitor in DC Circuit. In a DC Circuit, the capacitor once charged with the applied voltage acts as an open switch. Capacitance is defined as the ratio of the electric charge on each conductor to the potential difference between them. The unit of capacitance in the International System of Units (SI) is the farad (F), defined as one coulomb per volt (1 C/V). Capacitance values of typical capacitors for use in general electronics range from about 1 pF (10−12 F) to about 1 mF (10−3 F). During this charging process, a charging current, ( i ) will flow into the capacitor opposing any changes to the voltage at a rate that is equal to the rate of change of the electrical charge on the plates. This charging current can be defined as: i = CdV/dt. 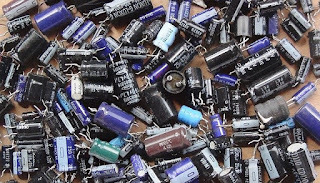 Once the capacitor is “fully-charged” the capacitor blocks the flow of any more electrons onto its plates as they have become saturated. However, if we apply an alternating current or AC supply, the capacitor will alternately charge and discharge at a rate determined by the frequency of the supply. Then the Capacitance in AC circuits varies with frequency as the capacitor is being constantly charged and discharged. We know that the flow of electrons onto the plates of a capacitor is directly proportional to the rate of change of the voltage across those plates. Then, we can see that capacitors in AC circuits like to pass current when the voltage across its plates is constantly changing with respect to time such as in AC signals, but it does not like to pass current when the applied voltage is of a constant value such as in DC signals. 0 Response to "Capacitors in AC Circuits | Capacitors Behave in AC Circuits | Function of Capacitor in AC circuit"